Setting up a payment gateway in order to take payments online via credit or debit card. To start charging your customers in advance of an event you'll need to setup a payment method. Currently, Bookwhen offers three services for you to integrate with - Worldpay, PayPal or Stripe. Before deciding on a payment service, you might want to check out their respective fees and charges to decide which option is best for your business. 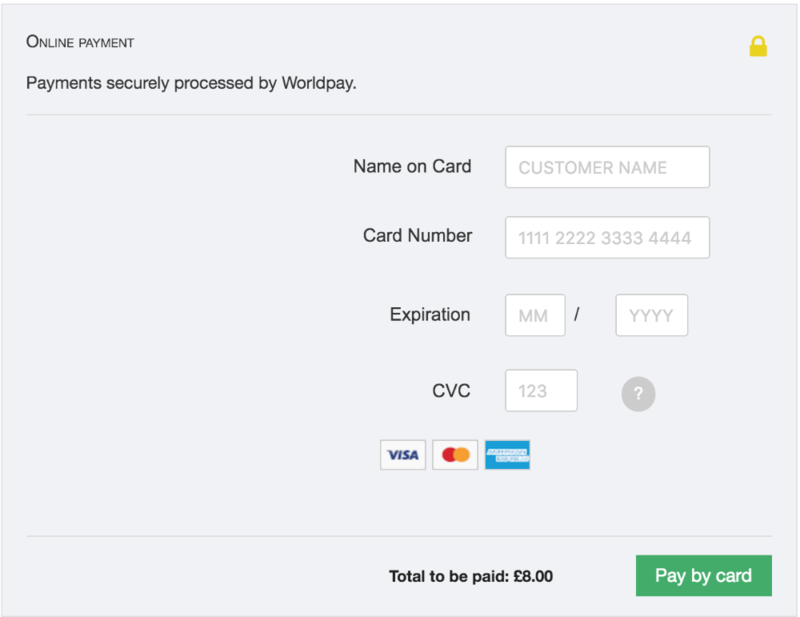 See Worldpay fees, PayPal fees and Stripe fees. You might also want to consider the payment form that your customers face when making a payment. The Stripe and Worldpay form only require card details, whereas PayPal requires address details to also be entered when paying by card. Also note that customers can only pay directly with a card on PayPal if you have a Business PayPal account. See example screenshots below. Once you've decided, it's time to set up your payments! In Bookwhen, click on Setup then Payment settings. First, you might want to edit your currency and tax percentage settings. Now, select Setup for your chosen payment service. 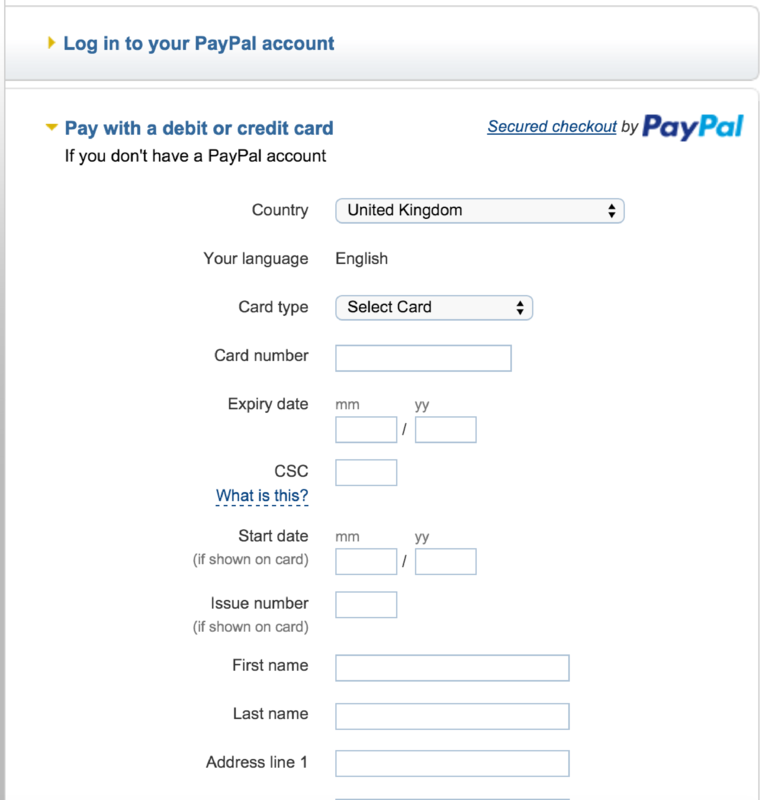 If you're thinking of using PayPal, you can find more information here. Once setup, if you'd like to setup a charge to cover the fees from your chosen payment provider then click edit on include online payment fee. Once set up, all customers will be asked to pay online by default (if you've set a ticket price). You can change this on individual entries by clicking edit entry and then going to Tickets & costs. If you want to setup multiple payment options that's fine - you can do this and Bookwhen will save all your settings. You can then toggle between the payment providers whenever you like, but only one can be active at any one time. Want to read our view on whether to choose Stripe or PayPal? Click here to find out more!